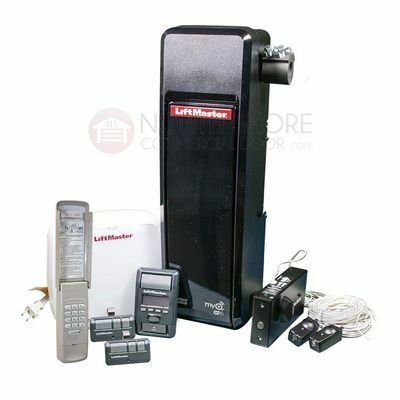 At North Shore Commercial Door we sell every style garage door opener on the market. From heavy duty commercial operators, light commercial, and residential garage door operators we have a solution for your door opening needs. We only offer high quality openers from top manufacturers like Zap, Genie, Manaras,Linear, and Liftmaster. We know that customers have many choices when it comes to purchasing a garage door opener. We want to make shopping and purchasing your garage door opener easy. On this page we have broken down openers by application, style, and manufacturer. You will see a section for commercial applications, residential applications, openers for sectional doors, and rolling steel doors. If you have any questions while looking through our extensive catalog feel free to call our friendly sales staff at 800-783-6112 or you can always use the contact us form located at the bottom of the website.